There is something inherently satisfying about pulling out weeds – don’t you agree? Managing ecosystems is a tricky complex business, but pulling out and poisoning noxious problem plants like lantana is a real, hands on result orientated activity. 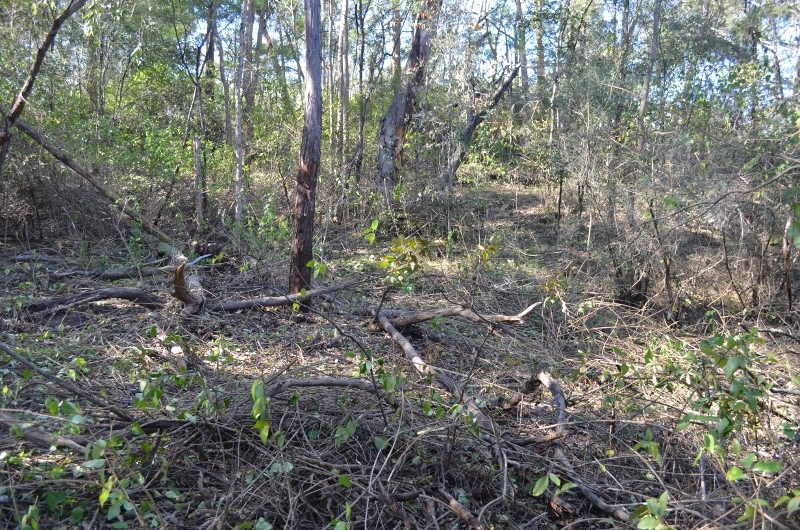 You can see and measure progress and I swear I could hear the native plants sighing as we removed choking thickets of smelly, prickly lantana. Lantana is a garden plant (from South America originally) that causes major issues in our native bush. 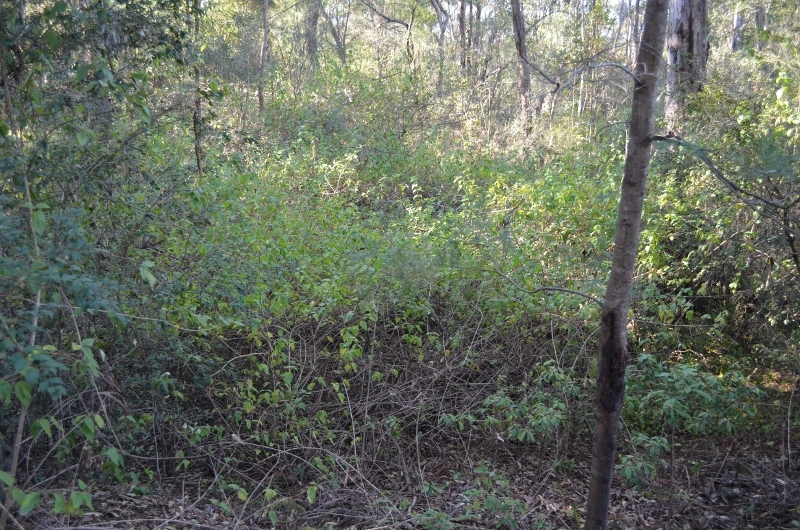 It can choke the shrub layer and even grow up into the canopy. 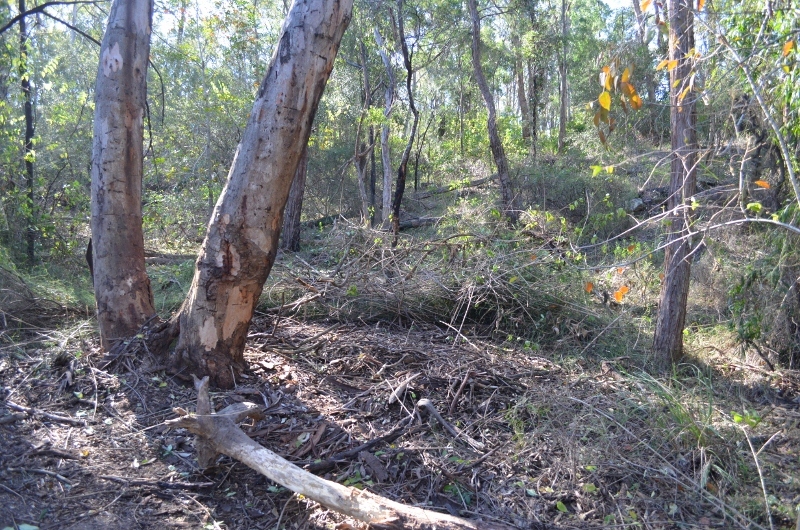 It excludes native plants and changes local ecosystems – often to the detriment of the trees – see this information on Bell Miner Associated Dieback. 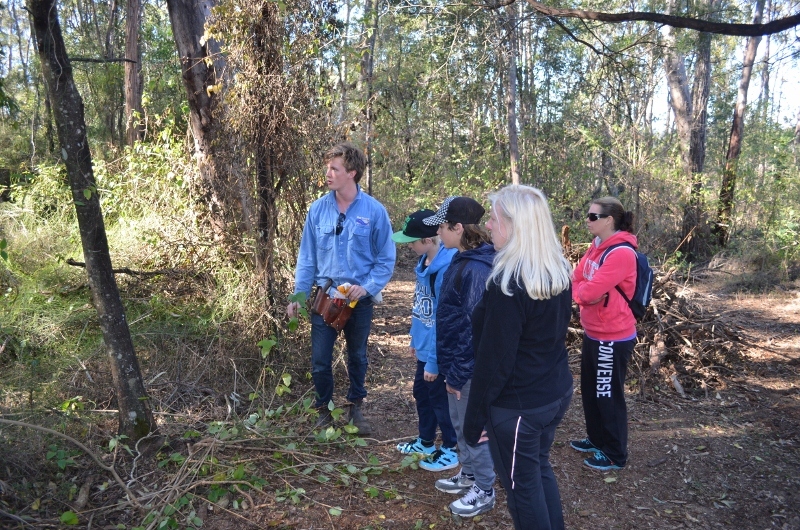 Angus Reynolds from Blue Tongue Ecosystems providing instruction. 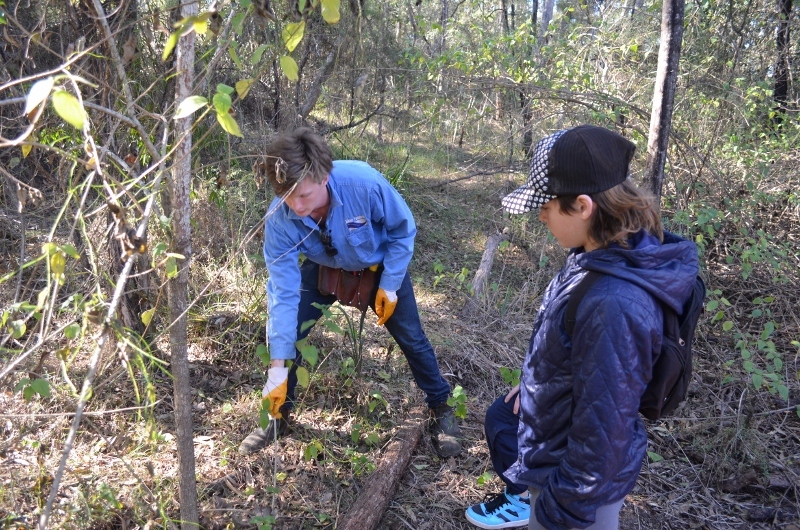 We spent the day on Wednesday with Blue Tongue Ecosystems who are an excellent local bush regeneration company as well as some fantastic students and staff from Mt Druitt Tutorial School. 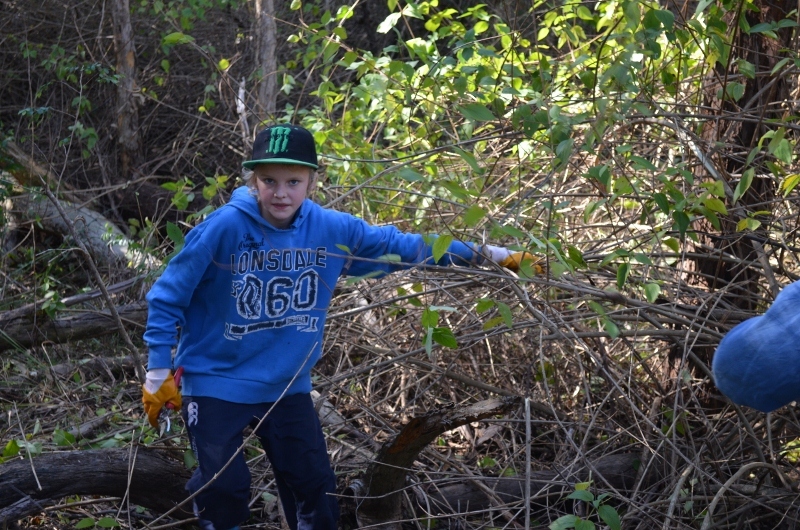 The aim of the day was to remove as many weeds as we could from our surrounding bushlands and gardens. What an incredible job we all did! 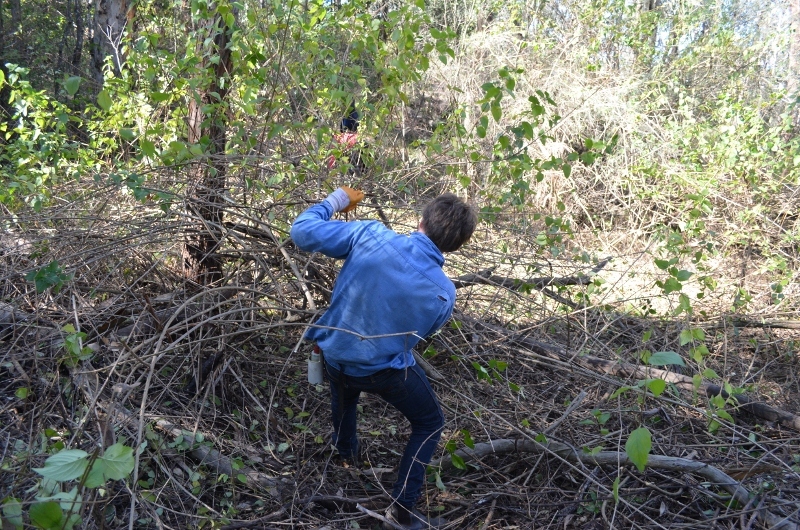 The students and staff took to the work with gusto, discovering how to use various tools and chemicals as well as avoiding too many lantana scratches. Thanks so much to Mt Druitt Tutorial School and we look forward to seeing you again in the future! A huge thanks to the staff of Blue Tongue who were professional, efficient and helped our property immensly. We have had an ongoing issue with weeds here at Brewongle. Our critically endangered Shale Sandstone Transition Forest is doing its best despite a long history of human disturbance. 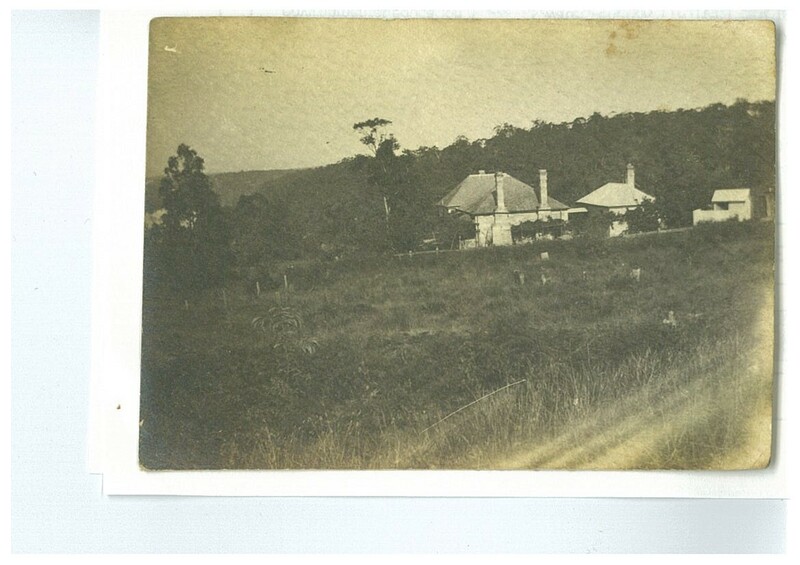 We have photos showing most of our forest was felled in the early 1900’s and has since regenerated to some degree. We seem to be missing a few species and have an ongoing problem with weed invasion. Many of our trees are not old enough to form tree hollows (which can take up to 100yrs to form) and hence we are missing some vital animal habitat also. To combat this in the short term we have installed many different bird and possum nest boxes to supplement the few tree hollows available.